According to Deadline, Rodrigo Santoro (Westworld), Amy Landecker (Transparent), rapper Colson Baker aka Machine Gun Kelly (Nerve) along with Allen Maldonado, Andrene Ward-Hammond and Kyanna Simpson have been cast in Netflix’s upcoing untitled sci-fi thriller. Jamie Foxx, Joseph Gordon-Levitt and Dominique Fishback are set to lead the untitled film from Henry Joost and Ariel Schulman (Nerve). The story, which is written by Mattson Tomlin (Solomon Grundy), is currently being kept under wraps, with Eric Newman and Bryan Unkeless’ Screen Arcade set to produce the feature. Newman has been working with Netflix since its second original series Hemlock Grove as well as crime drama Narcos, as well as one of the last major hit original movies Bright, as well as producing some big screen hits including Zack Snyder’s debut Dawn of the Dead, The Last Exorcism and the Oscar-winning Children of Men. Unkeless recently produced the Oscar-winning I, Tonya, as well as The Hunger Games franchise, the critical and commercial hit Crazy Rich Asians and the acclaimed Netflix sports drama First Match, and is one of the producers for the in-development Birds of Prey spin-off and Bright sequel. Gordon-Levitt was most recently seen in the Amazon Prime buddy cop series Comrade Detective and Star Wars: The Last Jedi last year and as the Roast Master for The Comedy Central Roast of Bruce Willis and is currently filming the upcoming action thriller 7500. Foxx returned to the big screen in 2017 after a three-year hiatus, starring in the critical and commercial failure Sleepless followed by a supporting role in the acclaimed smash action thriller Baby Driver, and is set to star in the upcoming new take on Robin Hood alongside Taron Egerton (Kingsman: The Golden Circle). 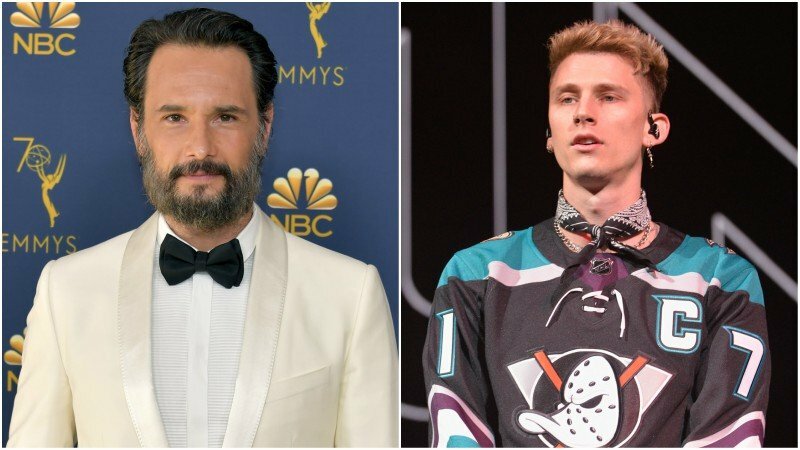 The post Rodrigo Santoro, Machine Gun Kelly & More Join Netflix’s Sci-Fi Thriller appeared first on ComingSoon.net.